Most people consider their home or car the most valuable asset. The ability to make an income is the most valuable asset as it provides the money to pay for your mortgage, car, living expenses.. If you can’t work, you can’t provide income thus causing a whirlwind in any financial plan. Whether you work as an employee, self employed or own a company, insuring your income is a very important decision. The need for disability insurance could never be more important when analyzing a plan. If you suddenly could not work due to injury what would your family do? How would they continue to cover the day to day expenses? If you own a business and other people count on you to pay their salaries, keep the lights on, pay the rent or mortgage. Disability insurance can help provide peace of mind and confidence knowing you have protected one of your most valuable assets – Your Income. Whether you are considering personal coverage or for your business, a comprehensive review is needed. A review of current coverage is also important as things change and happen almost overnight. 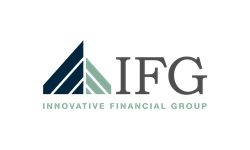 Innovative Financial Group can help educate, prepare and organize to ensure you have protected what is most important to you and the ones most important to you. Call today for a complementary conversation.